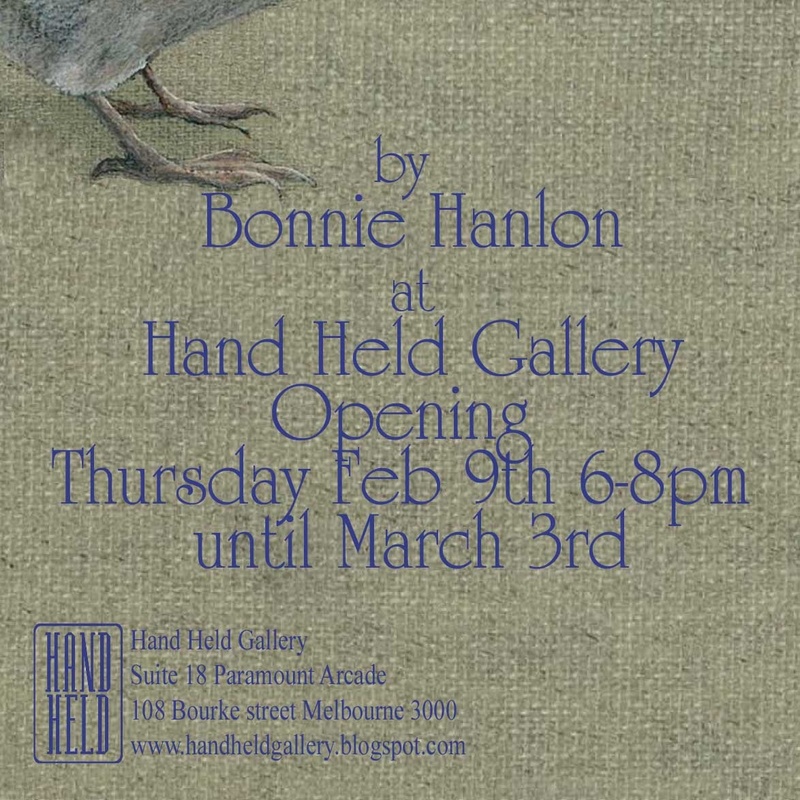 Bonnie Hanlon: The invites are at the printers! The invites are at the printers! Hasn't Megan done the most wonderful job with the invite! So very cute! 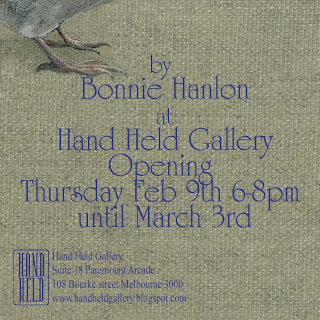 The show is coming together nicely, only a few works to finish and those empty gallery nightmares will cease. So, the amazing little invites will be out in the world next week, which means not many sleeps until the show. So I had better get painting!